For most part, learning how to tow safely is an easy enough task. All you need to do is attach the tow bar to the ball mounted on the rear of the vehicle and you are good to roam the road. What seems like a simple task, something one could probably do with their eyes closed, has got a bit more riding on it. Think of all the things that could go wrong if the trailer is not hooked in a proper manner to the vehicle. The attached trailer could veer off from the automobile and crash by the wayside. Or it could put excess load on your vehicle’s engine and cause an overload. The fun, outdoor trip could very well turn into a regrettable experience. By adopting certain safety measures and precautions, you can ensure that your joyride has a lot more joy to it. The tires should be checked for signs of wear, tear, or any damage. Ensure they are in good shape and have the optimum tire pressure. Tail lights, head lights, turning signals, reverse lights, and the brake lights need to be checked. If any of them malfunction, replace them immediately. Carrying a trailer puts additional stress on the vehicle’s mechanics. Conduct an oil check and ensure essential fluids, such as lubricants, are at the optimum level. The brakes play an important role when you tow a camping van or a trailer. Check the brake pads to ensure they are in prime condition. Just like the tires, brakes, and the lights of the vehicle are checked, the same needs to be done for the trailer as well. 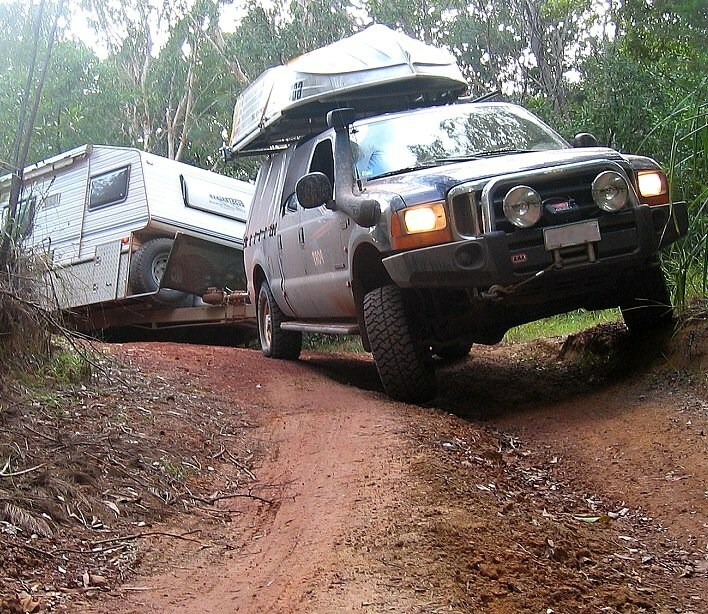 The weight of the trailer or the campervan should be loaded over the trailer’s axle(s). Any loose cargo has to be secured. All doors and windows should be properly latched. An open door or a swinging window can cause an accident. The ball mount should be secured with a hitch pin or lock with the hitch ball tightly bolted. Secure the socket or coupler over the ball. Check whether the ball is providing a full range of motion. Safety chains need to be securely attached and crossed. Double-check your trailer brake and trailer light. All electrical accessories should work correctly. If in doubt about any aspect of what or how you are towing it is always best to contact your trusted tow bar professional to get the correct and safest advice.